Minority rights is an important issue in all modern states, but for those countries hoping to join the European Union the protection of minorities is a key condition for success in the accession process. 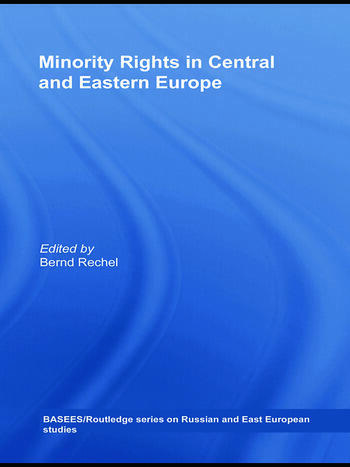 This book provides a comprehensive assessment of minority rights in Central and Eastern Europe, covering all the countries of the region that have joined the EU since 2004, including Poland, Czech Republic, Hungary, Slovenia, Estonia, Lithuania, Latvia, Slovakia, Romania and Bulgaria. For each country it outlines the major developments since 1989, highlights the salient issues in minority rights politics, assesses the actual implementation of policies and legislation, explores the roles that domestic and international factors have played - including the impact of the EU succession process - and discusses whether there have been any major changes once EU accession was secured. Overall, this book is important for all those interested in European integration and minority rights politics, as well as for specialists on Central and Eastern Europe. Bernd Rechel is Postdoctoral Research Fellow at the Centre for Russian and East European Studies at Birmingham University, UK. He has published widely on minority rights in Central and Eastern Europe and is author of The Long Way Back to Europe: Minority Protection in Bulgaria.